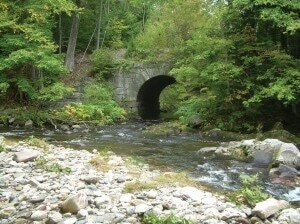 THE CHALLENGE: Skilton Road Bridge was originally built in 1865 as a one lane, dry stone masonry arch bridge over the Skilton Gorge in Watertown, Connecticut. 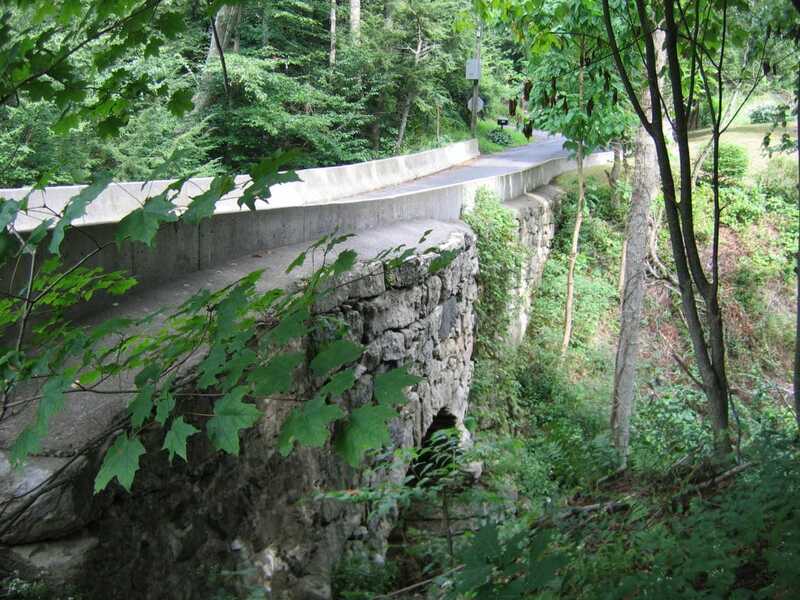 Rehabilitation in 1988 included strengthening of the stone masonry with reinforced concrete, and adding concrete guide rails to the bridge. 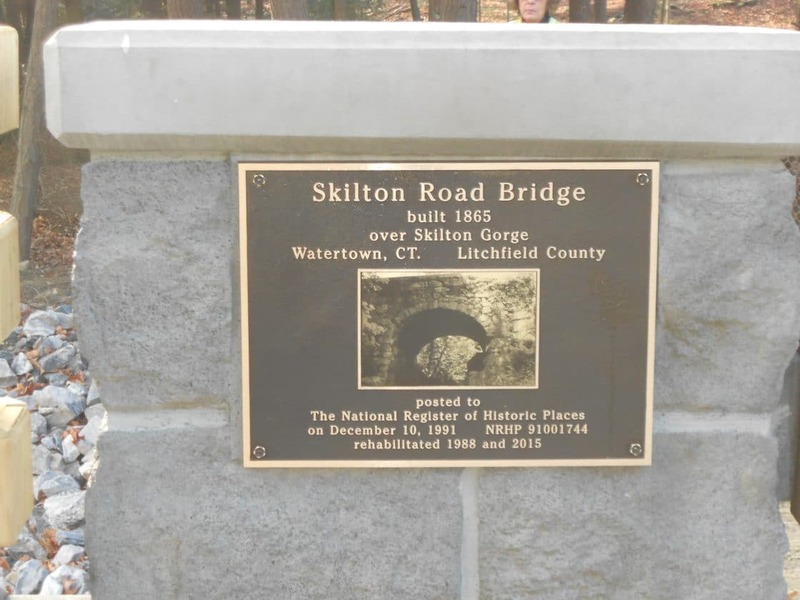 On December 10, 1991, Skilton Road Bridge was added to the National List of Historic Places, and in 2013, the bridge was found to be structurally deficient. 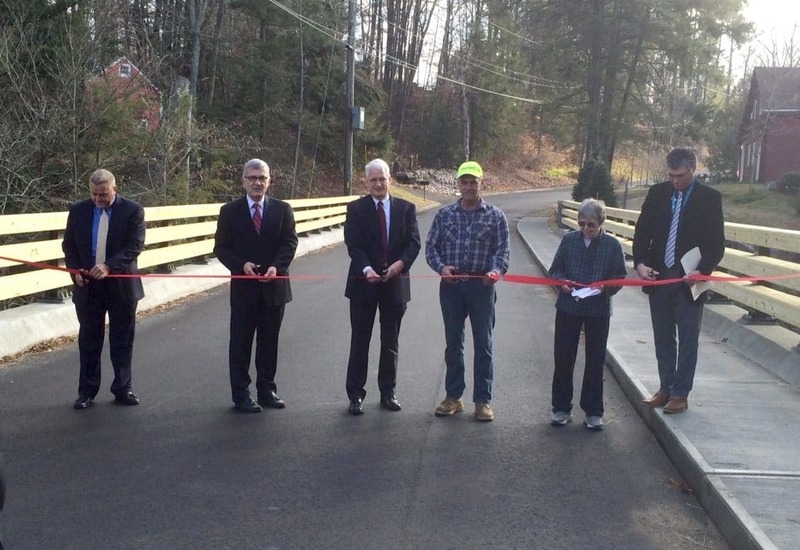 PROGRESS: Construction on the Skilton Road Bridge was completed in October of 2015, and a ribbon cutting ceremony was held on December 10, 2015. 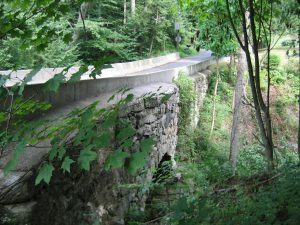 The bridge maintains its historic integrity. Greensboro Fire District No. 1 (GFD#1), situated on the Northern portion of the Green Mountains in Vermont, requested assistance with their water distribution and treatment systems due to deficiencies identified in a sanitary survey conducted by the State of Vermont. 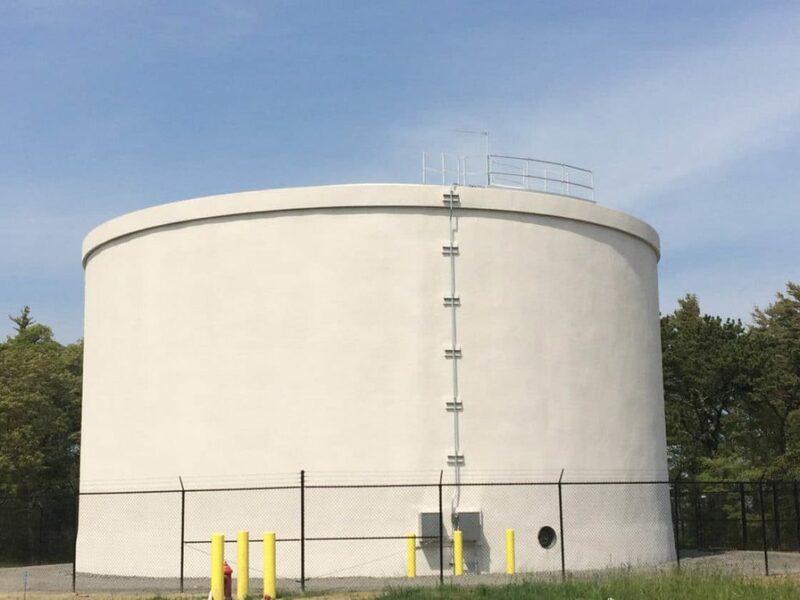 This contract addresses these deficiencies and provides the District a more robust covered water storage tank, secure buildings that house controls and chemicals and related equipment, emergency power generation, and water metering. 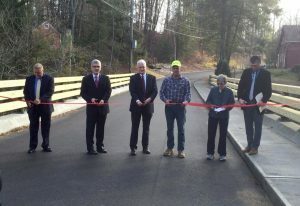 As part of the project, Tata & Howard helped GFD#1 secure funding that included a 45% USDA Grant for the originally planned project with an estimated budget of $2,900,000. During the design phase, the District lost their primary well source due to an extended drought. 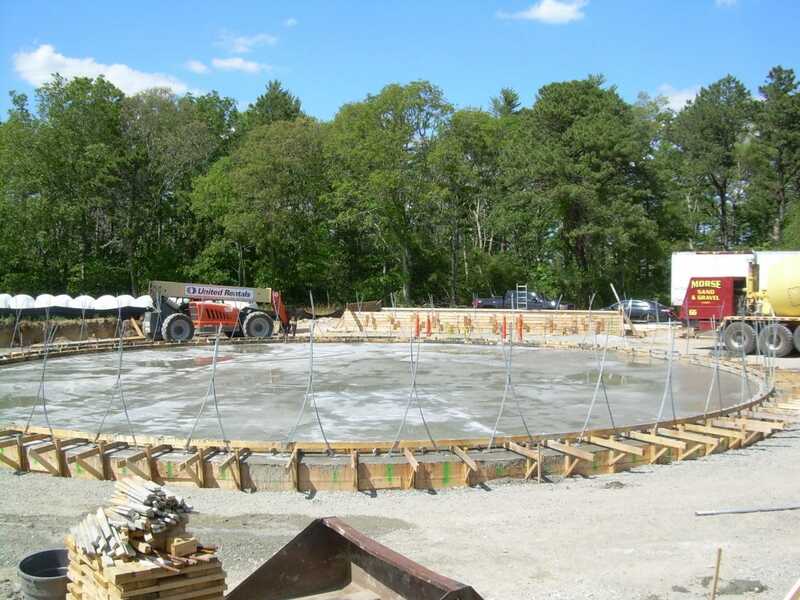 Tata & Howard engineers worked with the District to secure a 100% USDA grant for the cost of constructing a new municipal well source and associated emergency generator and related appurtenances. Tata & Howard provided design, construction administration, and resident observation for the water system improvements project. 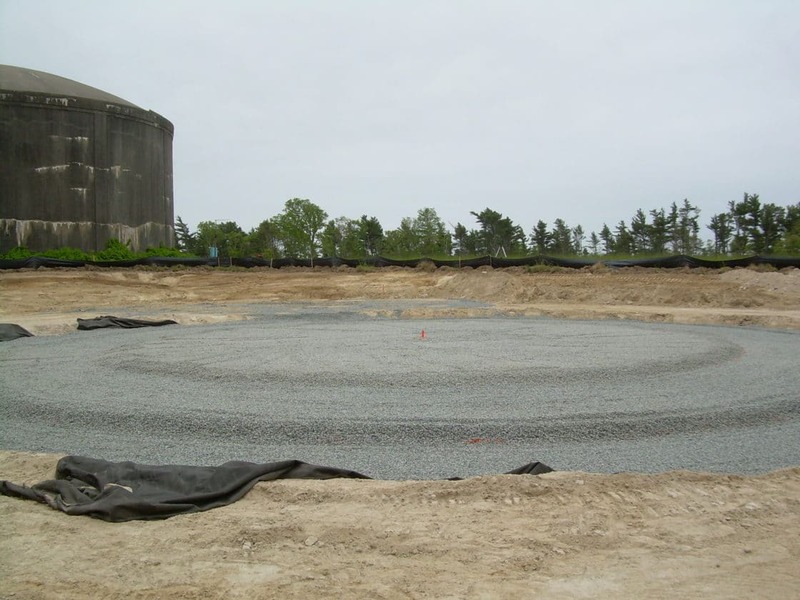 Construction began in the spring of 2015 with the setup of a temporary water storage system and demolition of the existing water storage tank roof structure. 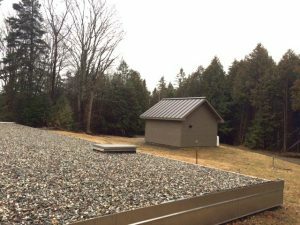 Precast planks and a ballasted membrane roof were then installed, providing safe, quality water. 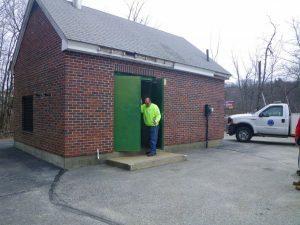 Two new small buildings were constructed to house chemicals and water well piping and controls, along with an emergency generator to provide continuous water in case of interruption to electrical power. This project included construction of a 1.0 million gallon, precast, pre-stressed, wire wound, concrete water storage tank in Marion, Massachusetts, with associated piping and appurtenances, a Tideflex mixing system, and site work. 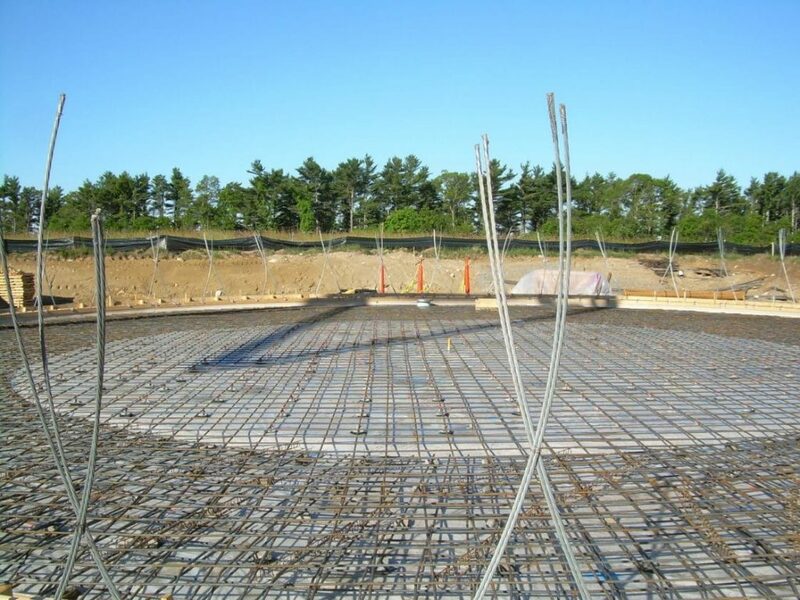 Other work included the decommissioning and demolition of the existing 2.0 million gallon pre-stressed concrete water storage tank at the project site. All work was completed ahead of the August 30, 2015 deadline. THE CHALLENGE: The sites were very small and restricted with high groundwater levels, and there were adjacent wetlands and private property. 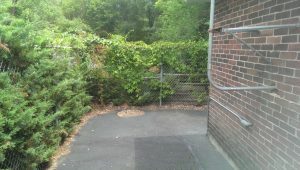 All three buildings were also very small and had other issues such as asbestos. 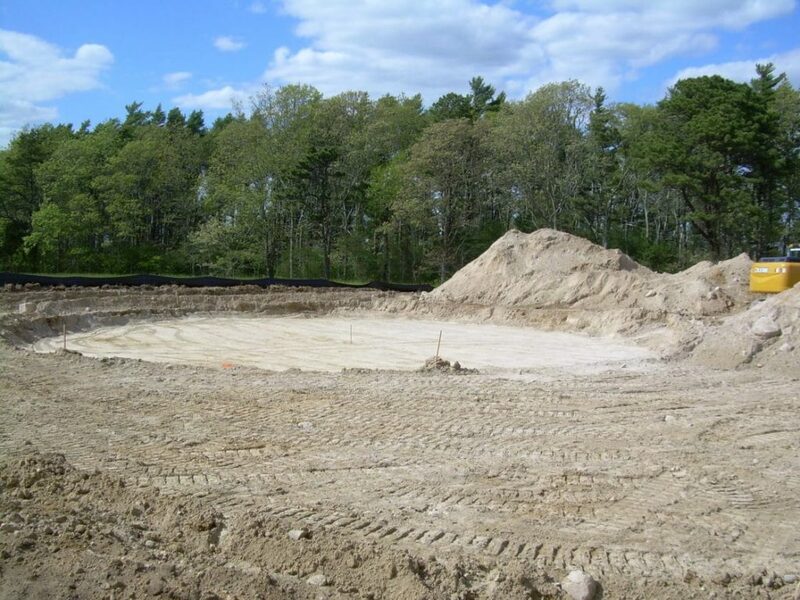 THE SOLUTION: We determined that the best course of action would be to demolish the buildings and convert the concrete dry pit that housed the pumping equipment into a wetwell for new, submersible pumps. 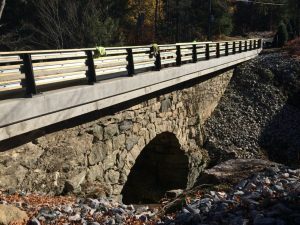 The solution saved the Town hundreds of thousands of dollars. 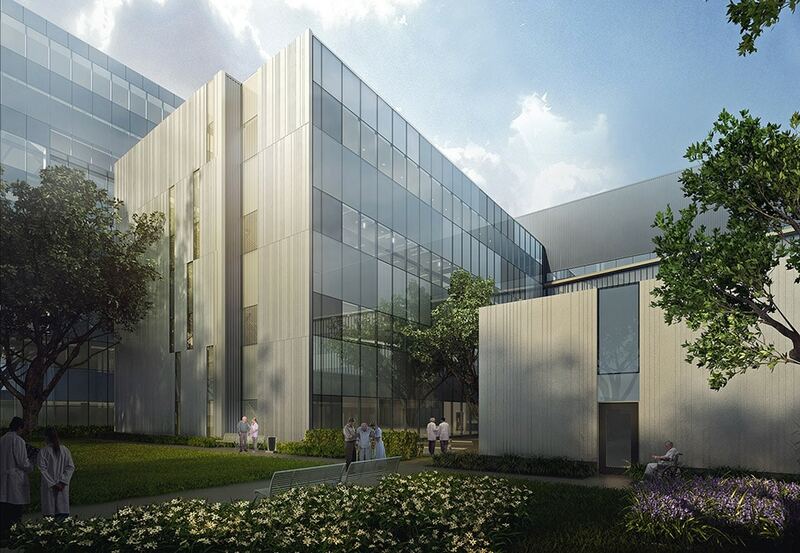 PROGRESS: Tata & Howard provided the project design and will be putting the project out to bid this summer. 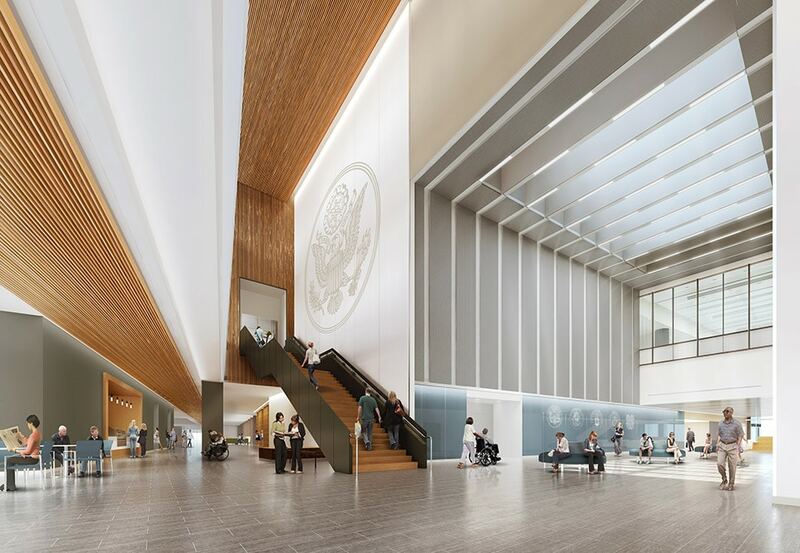 We will also provide construction administration when construction begins in the fall. 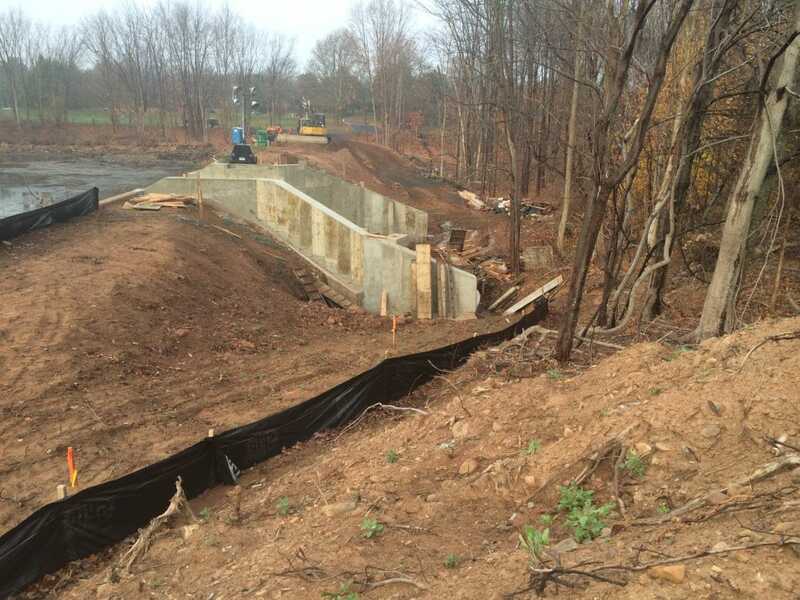 Tata & Howard provided construction administration, resident observation, and start-up services to the Milford Water Company for the construction of the Dilla Street Water Treatment Facility. The 5.2 mgd facility treats water from a combination of lake, river, and wells, utilizing dissolved air flotation (DAF) clarifiers and granular activated carbon (GAC) filters. The facility will replace the existing slow-sand and diatomaceous earth (DE) treatment currently utilized to treat the existing surface and groundwater sources, respectively. The facility was required to address and satisfy an Administrative Consent Order (ACO) issued by MassDEP. 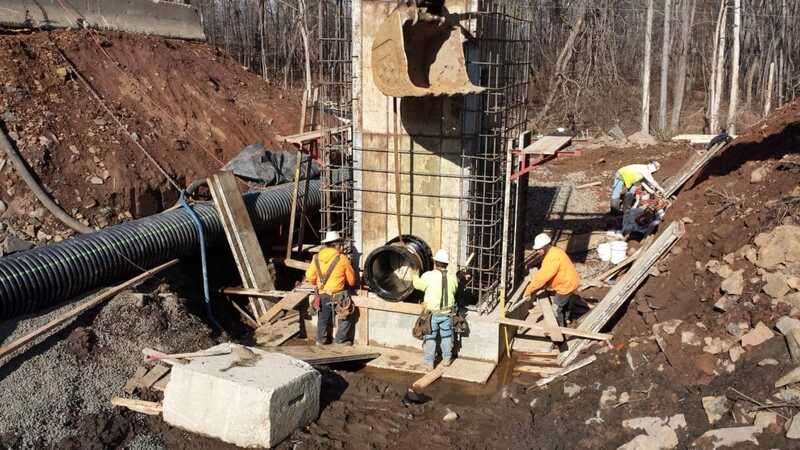 Tata & Howard also completed design and oversight of a redundant cast-in-place chlorine contact tank, and has been contracted to provide engineering services for project review and construction oversight for the installation of raw water screens on intakes of both the lake and river sources. 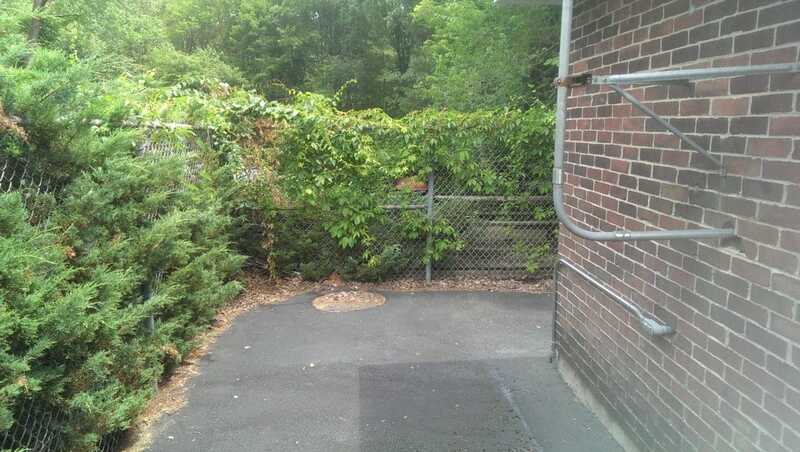 These improvements were mandated by MassDEP as part of the approval of the Dilla Street facility design. 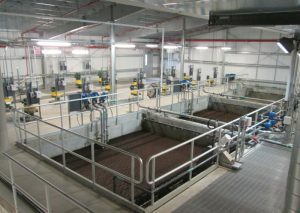 Tata & Howard has completed a Water System Capital Efficiency Plan™ for the City of Northampton. 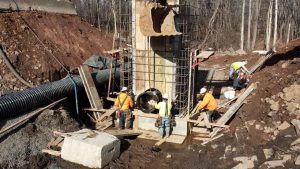 The plan includes a comprehensive water system master plan that evaluates the hydraulics of the system as well as critical components and asset management considerations. The hydraulic analysis included completion of fire flow testing and c-factor tests. Tata & Howard developed a hydraulic model from the City’s extensive ArcGIS database and the flow test results were used in verification. Tata & Howard reviewed recommended static pressures and Insurance Service Office recommended fire flows as well as estimated needed residential and commercial fire flows throughout the system. The Northampton water system has wide range of ground elevations, resulting in extreme high and low static pressures in some areas. To maintain recommended system pressures, a new service zone was recommended to divide the distribution system. The recommendations included a new water storage tank, pressure reducing valves and transmission main improvements. Tata & Howard also developed additional recommended water main improvements to meet fire flow needs. 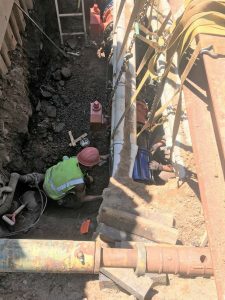 The asset management portion of the project included a detailed analysis of each segment of pipe in the water system based on age, diameter, material, pressure, soil conditions, break history, and potential water hammer. Each segment of pipe was given a numeric rating based on weighted asset criteria developed in cooperation with the City. This information was used with the hydraulic evaluation and critical component assessment to determine the prioritized improvements for the system. Tata & Howard is also assisting the City with testing of pipes throughout the system. The work includes visual evaluation of samples and pipe strength testing. An analysis of the estimated service factor of each pipe segment will be provided to the City and used to supplement the information obtained during our asset management analysis.